A city in North Carolina will celebrate National Hispanic Heritage Month with its first ever Latin cultural festival, thanks to a Baseline Explorer who organized the event. 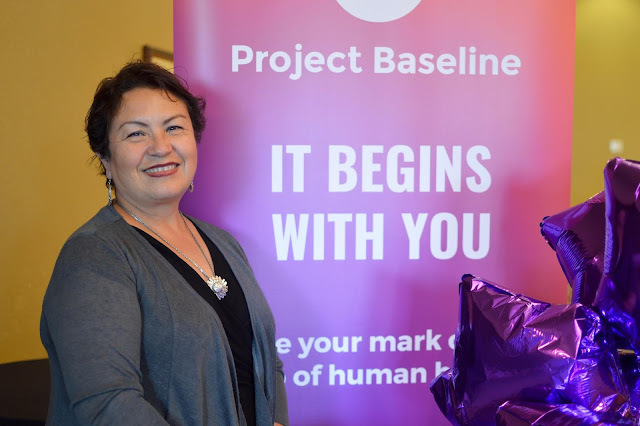 Rosa Gonzalez, 57, helped to create the Concord Latin Festival for the same reasons she joined the Project Baseline study — to represent and celebrate her heritage as a Mexican American. Rosa serves as the president of El Puente Hispano, which translates to the Hispanic Bridge, and she certainly views herself as a bridge builder. As not only a Project Baseline participant but also a member of the Community Advisory Board, Rosa embraces her role as an ambassador for the study with enthusiasm. “If I can be part of the solutions for future generations, it’s a great opportunity,” she said. “If I can be a little part of someone else in the future to have better answers for their disease, it’s unbelievable.” Rosa enrolled in Baseline at the Duke University School of Medicine office in Kannapolis, NC. She works for a healthcare system and as a faith ministry nurse at two Catholic churches that serve the Hispanic community.